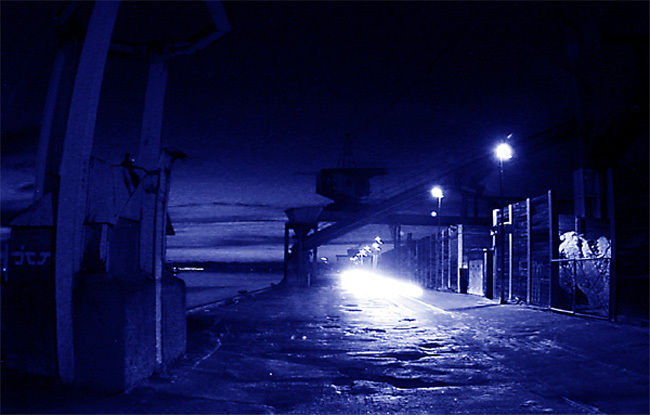 Фото "Light in the night"
This picture was taken on an old harbour; the light comes from a car coming towards me. The shutter speed was set the 8 seconds! I pixelated the picture and hereafter I put the blue colour on it. Excellent and dramatic picture, very well done Rune !! Excellent composition Rune, but it`s a lit bet dark !!! I think 8 seconds it was a long time. I would leave less, because the shine in excess is removing attention of the other parts of the picture. But is a good shot.